Visit the app store and search for Institutional Intelligent Portfolios. Answer a few straightforward questions from your advisor to help determine your investor profile. 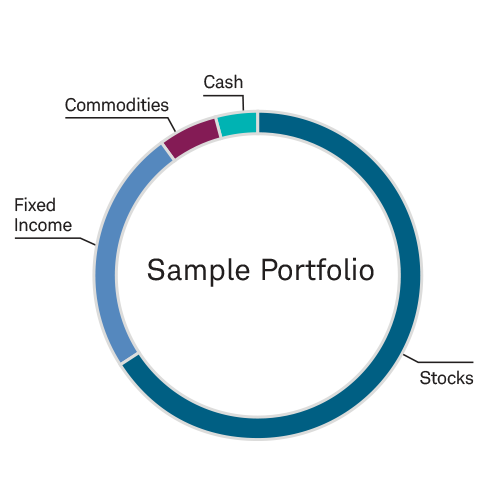 Review your advisor’s recommended portfolio. Complete the account open and funding process. Your advisor will then review and make any adjustments before your money is invested. Your advisor has chosen Schwab as the custodian for your account to help protect your assets and online information. During enrollment, you’ll be asked to open an account with Schwab. Simply follow the instructions to complete the account open process, and if you’re already a Schwab client you can use your existing account credentials to complete enrollment even faster. Institutional Intelligent Portfolios® is a technology and service platform provided to your Investment Advisor by Schwab Performance Technologies (“SPT”) and used by your Investment Advisor to provide its clients with an automated investment management service. Charles Schwab & Co., Inc. ("CS&Co"), a registered broker-dealer and member SIPC, provides custody, trading and support services. The Sweep Program is offered by Charles Schwab Bank, member FDIC and an Equal Housing Lender. SPT, CS&Co and Charles Schwab Bank are separate companies affiliated as subsidiaries of The Charles Schwab Corporation whose products and services are independent from each other. Investment Advisor and SPT are independent of each other and are not affiliated with, sponsored by, endorsed by, or supervised by each other. Your relationship is solely with Advisor and not SPT. © 2019 Schwab Performance Technologies. All rights reserved. Unauthorized access is prohibited. Usage is monitored.